"You're as Beautiful as You Feel"
I’m still exhilarated from experiencing “Beautiful,” the Carole King Musical on Broadway yesterday. The incredible music that magically touched my soul is not the only aspect of the performance which is causing me to feel this way. A powerful factor in my excitement is that her story completely brings to life the exact concept that I encourage my coaching clients with every day. The amazing musical genius, Carole King, lacked the confidence to write the lyrics and perform the incredible music she composed during the younger part of her life. She depended upon her husband’s talent for lyrics, was blinded by her love and admiration for him, and didn’t expand her self-confidence. When Carole went through the painful, disappointing, and frightening demise of her marriage, she was vulnerable and weak, wondering how she could possibly endure personally or professionally. Somehow, she intuitively found her inner wisdom and her courage which led her to compose, write the lyrics, and sing for her platinum Grammy winning album, Tapestry, and to make her mark on the world forever as an iconic female rock star. What did YOU lack the confidence to accomplish during your previous relationship? If you can identify that significant answer, challenge the beliefs that continue to hold you back, and break out of your comfort zone, you too can reach the stars that you were meant to reach. Your voice can be heard whether you sing or not, your talents can be recognized, and your gifts can be appreciated by all those who you share them with. Use the enormous power you possess to make it happen. 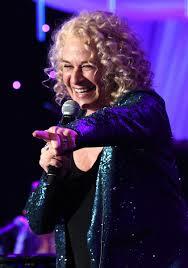 Then, much like Carole King, you will create a new life that is truly “Beautiful.” How would that feel? https://i2.wp.com/www.timetoplay.com/wp-content/uploads/2015/05/Carol-King.jpg?fit=188%2C268 268 188 Heidi Krantz http://www.timetoplay.com/wp-content/uploads/2019/02/TIME-TO-PLAY-LOGO-resources.png Heidi Krantz2015-05-04 20:17:152015-05-04 20:17:15"You're as Beautiful as You Feel"